Began teaching with us April 2016. Studied at McNeese State University. Was the section leader for the McNeese State Band for four years and also woodwind captiain for two years. Outstanding soloist at McNeese Jazz Festival 2012 and Jazz in the Arts Featured Artist March 2016. Has been teaching private lessons for 8 years at Little Cypress-Mauriceville. Currently playing with Street Side Jazz Band, Inner Gee, Old Fashions, Dark Side of the Lake, Sabine River Brass Band, and The Sharp 9s. 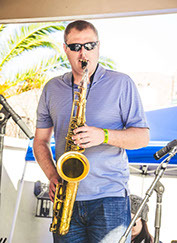 Has played with Harry James Orchestra, Jimmy Dorsey Big Band, Rory Partin Big Band, and the Lake Charles Symphony. Began teaching with us in May 2014. 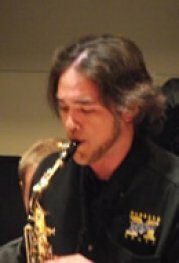 Bachelor of Music Education with a concentration in Alto Saxophone. Section leader for MSU Marching Band for 2 years, 2nd Alto in MSU Wind Symphony, 1st Alto in MSU Jazz Band. Taught Jazz band at Westlake High School and private lessons at Maplewood Middle School. Band director at Iowa High Shcool.